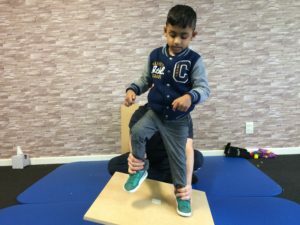 Cuevas Medek Exercises (CME) is a powerful method of eliciting improvements in Posture, Balance, and Motor Control, for children with cerebral palsy and developmental conditions. Developed in the 1972 by Ramon Cuevas, a Chilian Physical therapist working at a special needs school in Venezuela. 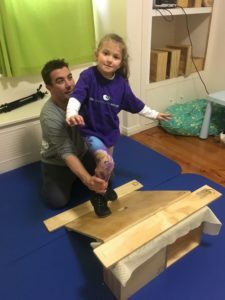 Ramon developed his techniques based around three principles, 1) expose the child to the effects of gravity and allow them to respond, 2) support them as distally as possible, 3) assist them to move on surfaces or in ways that are more challenging then they normally encounter. CME is a dynamic and challenging set of exercises. The techniques can be used on children as young as three months up to 12 year. They create situations where children have to respond to gravity to hold their head, trunk, and limbs against the forces of gravity. CME therapy provides very concrete guidelines to stimulate babies and children to learn how to control their body in a more efficient and effective way. CME challenges the child’s neuro-muscular system to force the development of postural reflexes and motor control. 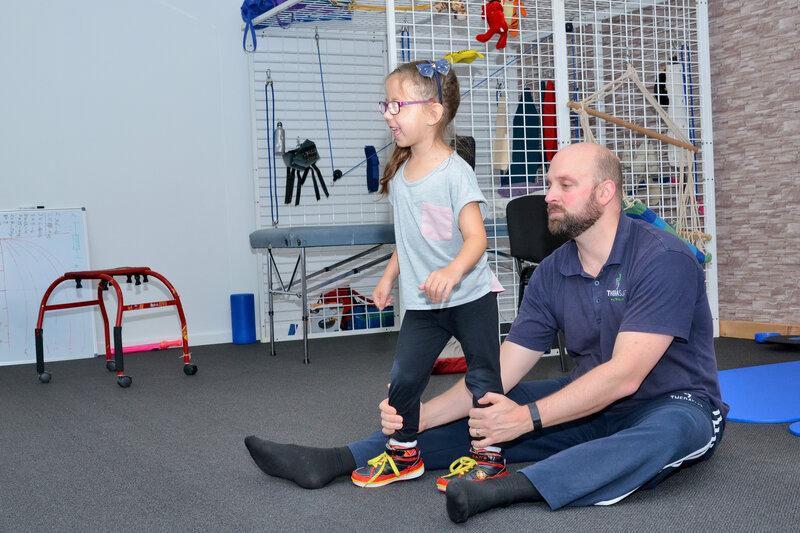 For children with spasticity , CME integrates range of motion (stretching) exercises into movement patterns. This helps the brain re-set muscle length in spastic muscles. This is great when done in conjunction with Botox. Children often find CME therapy great fun. The child is balancing, climbing, walking, standing. Similar experiences to what would occur in the playground. CME therapy has always been done in an intensive format. This elicits the best response in motor control. Intensity is needed to show the section of the brain that is used for motor control the importance of the movement. If it’s not intensive enough then it won’t create change. CME’s creator, Ramon Cuevas, offers intensive blocks of one, two, or three weeks. The ideal situation is to repeat the therapy twice per day. CME therapy is not suitable to be done when the child is tired. The age of 12 years is only a factor due to the child’s weight. Our CME therapists all train physically to be able to do CME therapy. 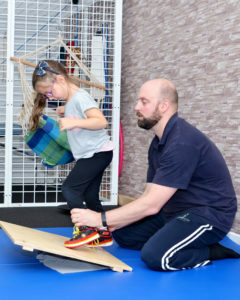 Once a child reaches 45KG, the range of activities that can be done is limited due to the therapists’s strength. Our head therapist, Chad Timmermans (AEP, Psych), undertook the basic training and advanced training with Ramon in Santiago Chili in 2015. Chad received personal training and mentoring from Ramon. Exposing him to not only the training that is part of the standard education but also Ramon’s advanced skills and advanced techniques. Upon arrival back into Australia and New Zealand, Chad has practiced CME daily and has progressively reduced the use of other techniques in preference of the more effective CME. Chad has stated that “for the right child at the right time, there is nothing better than CME to teach a child to walk”. This is Chad’s professional opinion after 22 years of doing intensive therapy with children with developmental conditions.